Every Couple Gets Our Full Attention. You Can Tell By These Reviews. Where to even begin. Tim + Nick captured our day perfectly. Watching our feature film left me speechless with a kleenex full of tears. From the moment they showed up to our package in the mail, the entire experience was so easy and fun. I cannot recommend them enough! As a photographer myself, I thought photos were all I needed to bring my day back to me but I was wrong. Tim + Nick's work made it possible for me to relive one of the happiest days of my life and I am grateful. From the bottom of our hearts, Brian and I can not thank you enough! My husband and I were on the fence about videography for our wedding, until we watched a couple films done by True Shot Studios. Nick and Tim were so easy and wonderful to work with. They always responded to email and phone call quickly. The day of the wedding they were amazing!! After watching our wedding film my husband and I were stunned at how perfectly it captured the day and all of the moments we had forgotten about. We couldn’t have dreamt of a more perfect video. It never fails to bring us both to tears. We will truly cherish our wedding video for years to come. Nick and Tim are seriously the best!! We couldn’t have asked for better people to help us with such a special day in our lives. We look forward to working with them for future special moments in our lives. My first piece of advice to anyone looking at this review, stop. 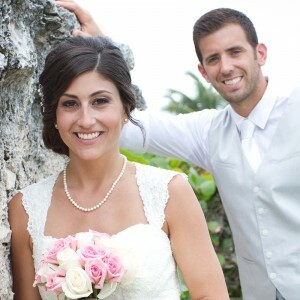 Email True Shots, and don't lose your chance at having your wedding turned into a masterpiece. I almost didn't listen to my gut, and I would have been crushed. From the very first time I watched a True Shots video, I knew that I needed to have them film our wedding day. From the first time we contacted Nick and Tim, we knew they were "the guys". They responded to our email saying that they found our wedding website on The Knot and that they would love to film our wedding day. They never seemed like our vendors, they seemed like our friends. Many family members questioned our choice to get a videographer, (Keep in mind, the videography they know is done by a drunk Uncle with a tri-pod, still shaking it while trying to dance) not the beautiful masterpiece we were confident we would receive. Nick and Tim did not disappoint. Our video captured moments that we would never be able to get back..my father seeing me for the first time as a bride, my dance with my Papa, and my husband interacting with his best friend (who has since passed on). Videography and Photography will be the most important choice you make...I can't believe not having these moments to share with our loved ones who couldn't travel to our wedding. Not just who are with us today, but our future children, and even our future great-grandchildren will be able to see our special day. The service and film from True Shot is so incredibly worth it. 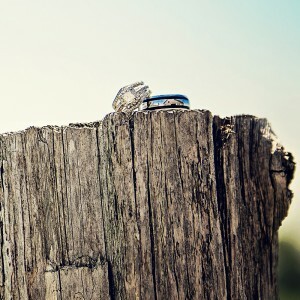 Your wedding, your love story, and your marriage is worth it. Nick and Tim, there is nothing else we can say but thank you. True Shot Studios were amazing! They were so caring! They thought of every detail to make my memories last for ever. From the moment I started getting ready till the end of the night they were there to capture everything! Loved dealing with Tim and Nick would and have definitely recommend them. We looked at a couple different companies at shows but we decided to go with True Shot Studios and we are so glad that we did! Can’t even begin to describe how wonderful of a job Nick and Tim did with our wedding video. They took professionalism and video quality to a whole new level. It was a true joy being able to work with each of them! We can’t say enough good things about their company! I also can’t believe the numerous compliments we get from those who have watched the video! True Shot is a company that takes great pride in their work and it definitely shows! Thanks a lot, guys! We had True Shot Studios do a video for our wedding….it was amazing!! It’s been over a year since we’ve been married and I still cry every time I watch it. We have since used them for some photography work as well (I believe this is maybe a secondary thing to their video work). So great to work with Nick and Tim. We will definitely use them in the future. I used True Shot for our wedding in Mexico. I knew the video would be amazing I just didn’t realize how amazing it would actually be. The amount of time they put into our video blew my mind. Between the music they picked to how they cut each scene was beyond my expectations. Whenever I watch my video now it still brings tears to my eye. They captured my wedding day beautifully. The moments in my video bring me back to that day perfectly and I couldn’t have asked for anything better.I have already recommended them to a few of my friends getting married and I will continue to do so.They are artistic and do videos like I haven’t seen before. They really did an amazing job creating a timeless memory for my husband and me. My hubby and I just watched our video again for our first anniversary, and I’m still tearing up with the joyful memories! These guys were so awesome and a lot of fun to work with! We were so close to not even having videographers, but at the last minute we decided to go with it and I’m so happy we did because pictures alone are not enough to relive all of those moments. Now we have an awesome tradition of watching our wedding video every year on our anniversary. If I could do it again I would have gone with the bigger package and got a longer video of the whole day. Thanks True Shot!! There aren’t enough good things to say about True Shot Studios! Nick and Tim took pictures during the wedding along with shooting a video. Pictures were flawless and the video was even better. True Shots video put all others to shame. 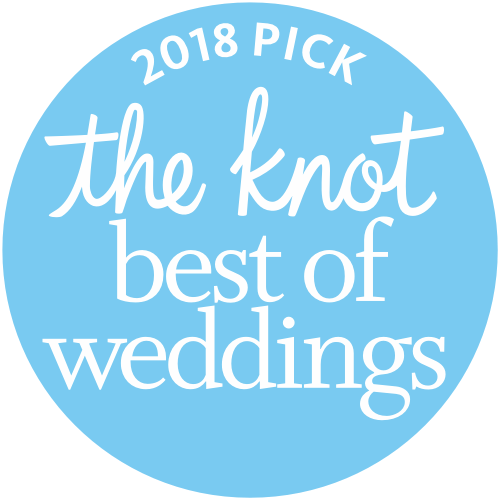 I would definitely recommend them as being a part of your big day! My husband and I had the pleasure of working with Nick and Tim from True Shot Studios, and we couldn't have asked for a better experience. We just received our feature film a few days ago, and I can't stop watching it!! Tim and Nick did such a beautiful job of capturing our wedding day, it lets us relive our special day each time we watch it! The entire process of working with True Shot was great, they are fun to work with, and they were very responsive through email and answered all of our questions right away. The quality of their work is amazing and they took time to really get to know us, and made sure they understood what we were looking for. After our wedding, there were many special moments that stuck with me, and I was so surprised to see that they all made it into our feature film. True Shot has the unique ability to recognize what moments are special to the bride and groom and include those moments in the film in a beautiful way. We are so happy with the outcome!! From the drone footage, to the beautiful scenery, to the footage of our first look and the speeches...combined with the music they added- the film doesn't fail to make me cry while remembering /reliving how incredible the day was. 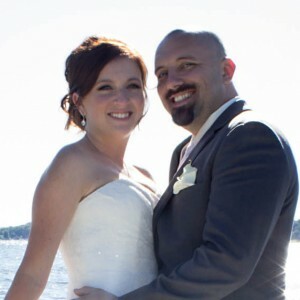 Originally, my husband and I did not see the need to hire a videographer for our wedding. We thought pictures would be enough for us to remember our day. When we were searching for local photographers, we came across True Shot Studios and after viewing the videos they have created, our minds were changed instantly. They have an incredible way of putting together the most detailed, yet emotional and memorable moments of the entire day. I have never seen any wedding videos that even come close to their style! Their team was extremely professional, yet easy going and made this entire experience so amazing! 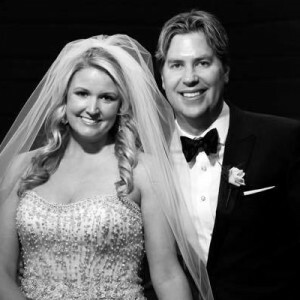 My wife and I had the pleasure of working with Nick and Tim for our wedding in Lake Geneva, WI. We cannot express how wonderful a job they did. They were an absolute pleasure to work with and they did an amazing job on our wedding video. 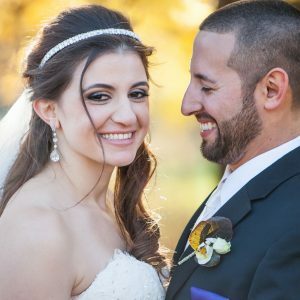 We had spent quite a bit of time looking around for a wedding videographer and we could not have been more pleased to have worked with True Shot Studios. Friends and family are amazed by the professional film quality of our wedding video, and the video never fails to bring a tear to our eyes when we watch it. Nick and Tim were fun and easy to work with, and we didn’t even realize they were there most of the time during our wedding day. We look forward to working with them again down the road for special family occasions. True Shot Studios is also one of the best deals out there for quality videography work at reasonable prices. We highly recommend True Shot Studios for their exceptional quality of work, friendliness and ease of working with, and great value. I was in a wedding this past September and the bride and groom choose True Shot Studios for the Photography and Videography. Tim and Nick were very professional and were able to tell the bride and groom’s story with so many personal and unique touches. The bride and groom also used them for their engagement photos and engagement video. The pictures were so beautiful and elegant without looking fake. Tim and Nick were able to help the bride and groom look very natural and feel so comfortable the pictures didn’t look staged. Their video of “their story” is so touching, it makes me cry every time I watch it. It will be something they can look back on 50 years from now. Tim and Nick are amazing at editing and adding subtle touches to the videos that create a seamless and one-of-a kind memory to treasure for many years. The day of the wedding they came and did photos of the bride getting ready and the groom getting ready. They were able again to make this day so relaxing and enjoyable. We all felt so comfortable and the pictures turned out amazing. Tim and Nick have a great eye for photography and are able to catch the light at just the right angles that made us look even better in pictures. They have amazing ideas for how we should stand, where we should look to create unique pictures that I have not seen before. Both Tim and Nick were very professional all day and night. They were able to get some amazing shots by the lake with the sun setting behind us! I think those were my favorite photos of the entire day. The entire bridal party was goofy in a few of the pictures it was so much fun. Tim and Nick were able to capture so many amazing memories from that day without being intrusive. The candid shots that they took really help show the story of the day from the view of the guests and the wedding party. I would recommend True Shot Studios to anyone I know! I am using them for family pictures next fall and I can’t wait to see how they turn out! 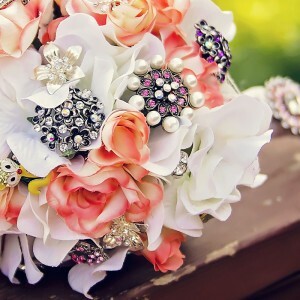 Good luck when choosing a photography for your big day. I highly recommend asking to see pictures they have taken before and find someone that can fit with your personality and your dream for what you want your story to look like. True Shot Studios did a wonderful job on the wedding I was a bridesmaid in. The video captured all of the best parts of the day. The sound quality and the way they told the story of their big day and love for one another was impeccably done. They have a true talent. The video has created an everlasting memory for all involved, it is absolutely fantastic! The photos turned out very nice but were also creative. They did a great job of catching the standard wedding photos but more importantly they caught creative/gorgeous shots that I know the bride and groom will cherish forever. They really have an eye for what will make a great shot. The pictures really captured their personalities. Photos are such an important part of this day and you can not afford to have a photographer that doesn’t capture the true spirit of the day. They did just that. I would highly recommend True Shot Studios to anyone looking to document such an important and extraordinary day. Wow!! 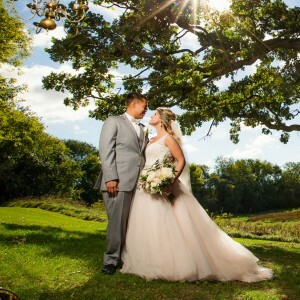 True Shot Studios did an amazing job with our wedding video! Everyone who saw it was amazed by what they did and how they pieced the whole night together in a short clip. I am so happy that we decided to hire True Shot Studios. They captured so many great memories from our wedding day that we are now able to keep forever. It was fun watching it for the first time and remembering special things that happened the day of our wedding that we had already forgot about in a month! This is something that everyone should do for their wedding. 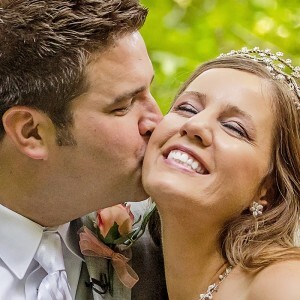 There is so much going the day of your wedding and you may miss certain things but True Shot Studios captured those those moments for us to see. They guys were great to work with too. I don’t know where to start….I was amazed from the very first time I saw their work. 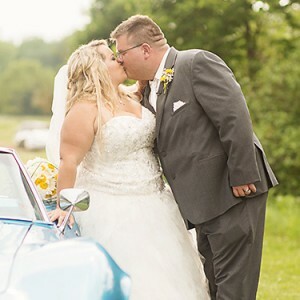 I searched, and searched, and searched…..and still no one compares to the work or customer service that True Shot Studios had to offer my husband and I. I feel like thru the process of 9 months leading up to my wedding and now almost 3 months after I made a great business relationship and friendship with Nick and Tim. The level of professionalism they showed blew not only us but our entire family and friends away. They made my dream come true in every aspect I could’ve dreamed of and then some. A brides worst nightmare is not having her father walk her down the aisle, unfortunately that nightmare came true for me….but with the creative minds of Nick and Tim they brought my dad to my wedding. From the drone footage to all the amazing shots of my fathers car….he was there not only in spirit but “in sight” too. 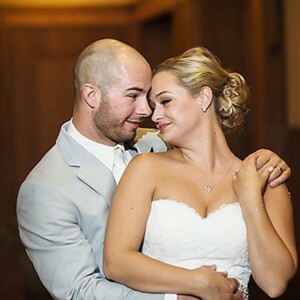 I could ramble on for hours about True Shot Studios but in the end they will be the best choice you ever make for your wedding and you’ll cherish the final result of a breath taking, dream come true wedding video…..this, what they put together, is something your grand kids will be showing their kids…..